Coach Gaines played collegiately at Southern University where they won 3 conference championships. After graduating from Southern with a B.S. in Accounting, Coach Gaines became the assistant baseball coach where his teams won 3 straight conference championships. He was the Pitching and Catching Coach. After relocating to Atlanta, Coach Gaines received his master’s degree from Central Michigan in Education. 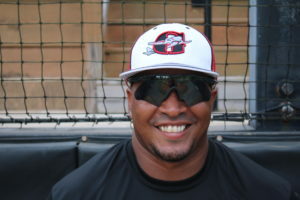 Coach Gaines, began coaching high school baseball and travel baseball with MGBA and later TGBA. Coach Gaines has been apart of numerous young men getting college scholarships and playing professional baseball. Coach Gaines, main focus is to develop each individual player on and off the field. Coach Gaines resides in Atlanta with his wife Chayla and their one year old son Tyler.